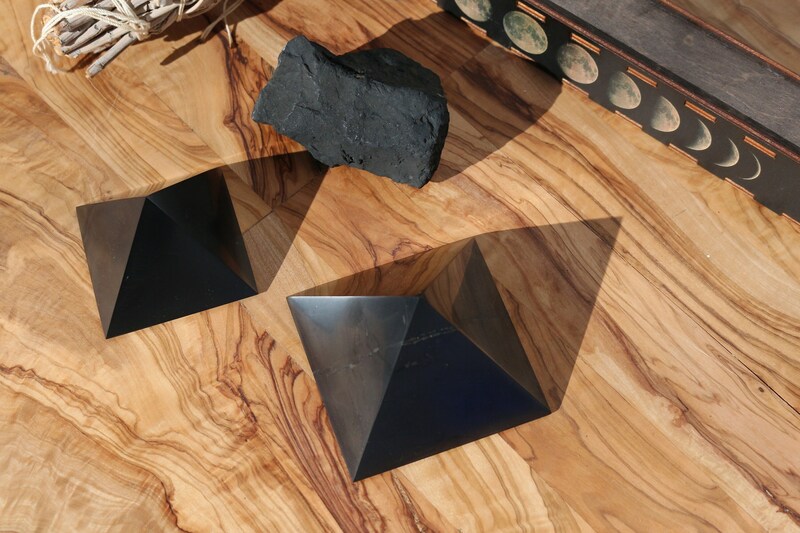 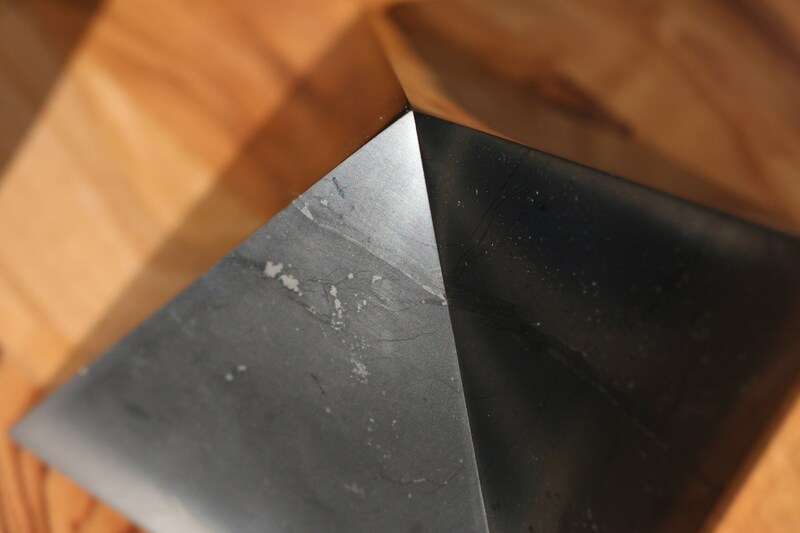 Two Pyramids, created of 100 percent solid Shunite, which have been individually hand-carved, hand-polished and hand-rubbed. 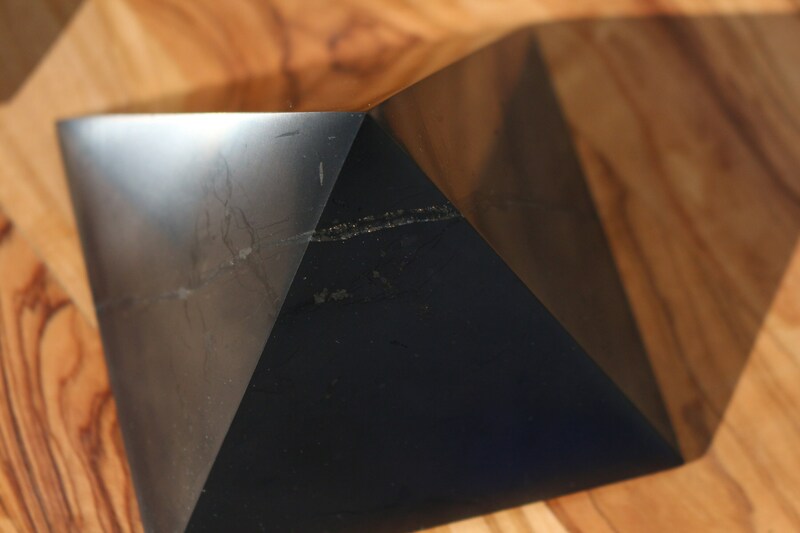 Each Pyramid is quite shiny and may have ever so slight surface scratches that you can be able to be removed if you so desire (no guarantees). 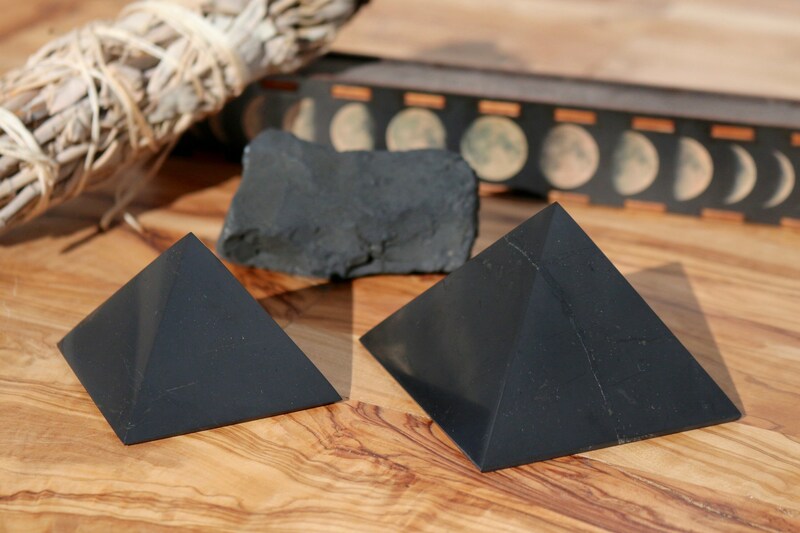 Two available, kindly use the drop-down menu to select the size Shungite Pyramid you wish! 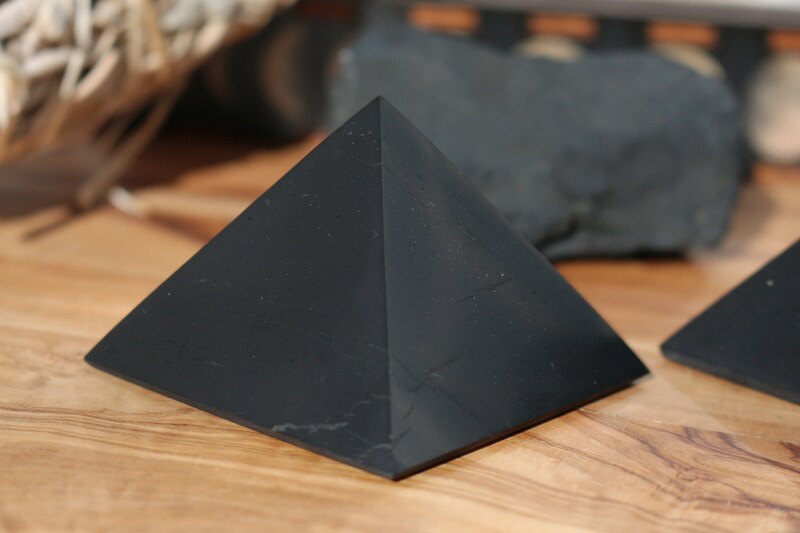 Base: 3.12" x 3.12" 3.12"
Base: 2.5" x 2.5" x 2.5"
Shungite is estimated by scientists to be two billion years old and is hailed as containing a healing power incomparable to any other. 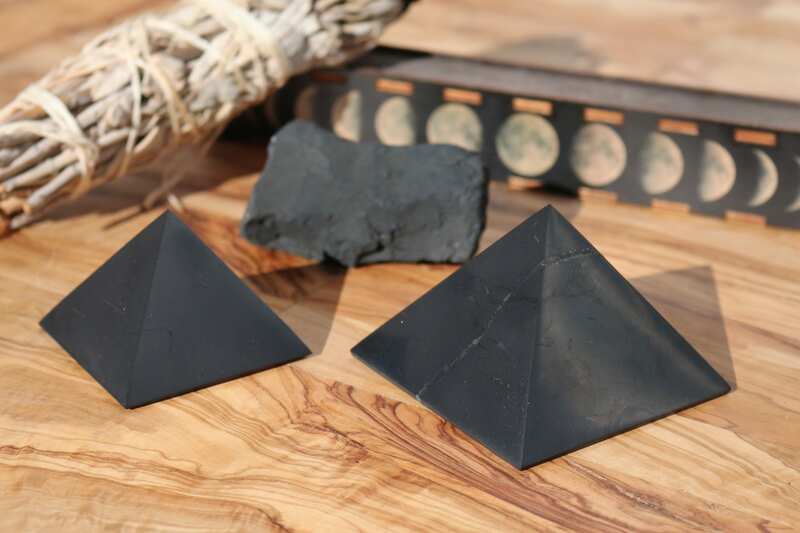 Some refer to Shungite as a miracle stone because of its metaphysical properties as it purifies, protects, creates a balance, and promotes growth in living organisms. 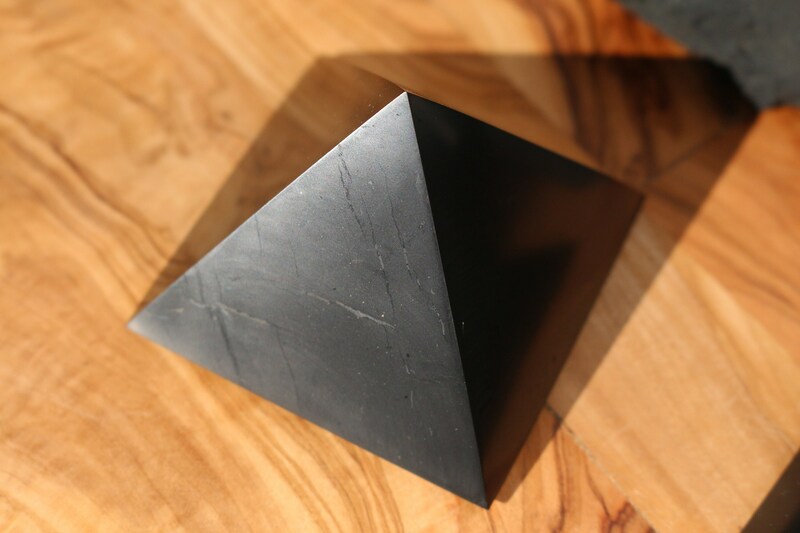 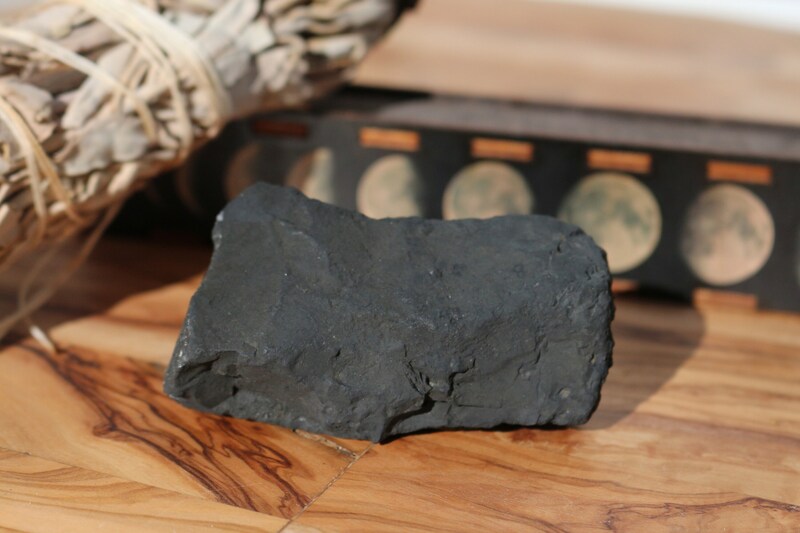 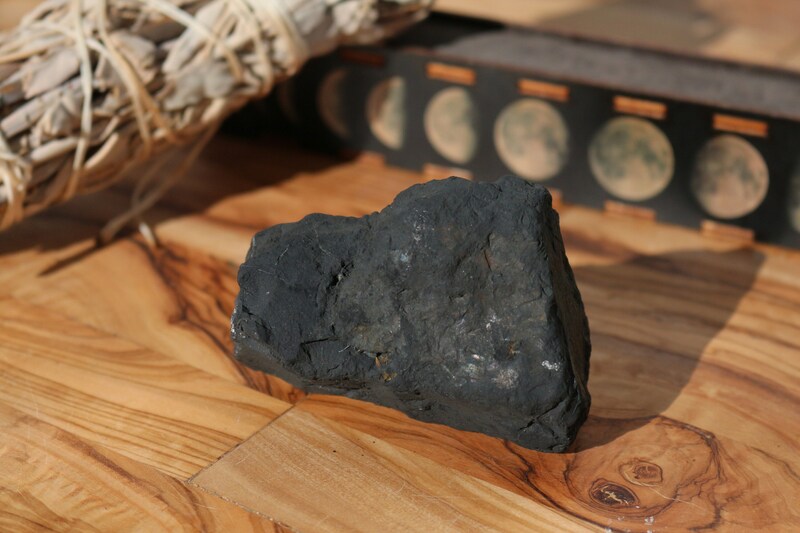 Shungite is considered an excellent source of protection from harmful electromagnetic radiation from computers, microwave ovens, TV sets, mobile phones, etc. 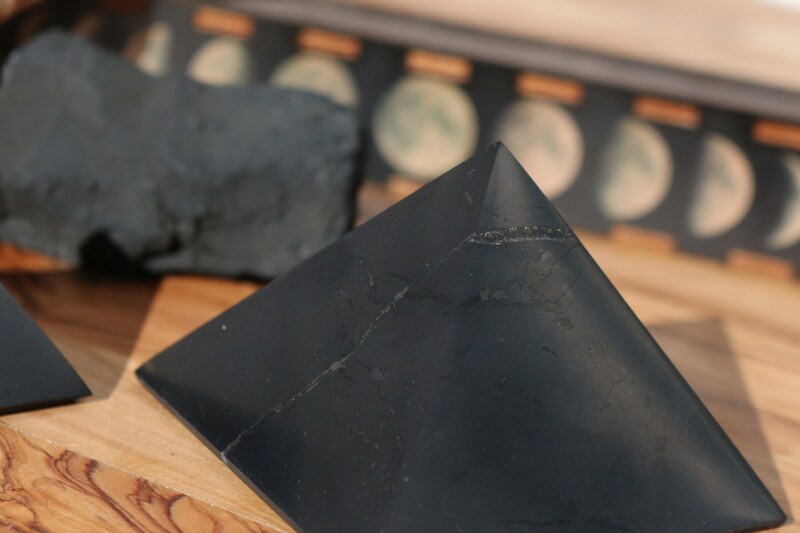 Shungite is associated with all Chakras but specifically resonates with the Root Chakra.